Just How 'Wild' Was Bill Hickok? As the legend of Wild Bill Hickok still grows, so do the myths, says author Tom Clavin. Which is why he set out to separate fact from fiction in his new book, Wild Bill: The True Story of the American Frontier's First Gunfighter. KMUW's Beth Golay recently spoke with Clavin about what he discovered. It seemed like there were a lot of frontier myths and legends that just aren't true. What were some of the wrongs that you were aware of that you wanted to make right? Well, Bill Hickok has sometimes been portrayed in television shows and movies as a bad guy because he was maybe an indiscriminate killer or, you know, the gunfighter was not necessarily a compliment. It was equivalent to what they call them back in the day a "man killer." I wanted to show that one truth about Wild Bill Hickok is that he was not somebody who would shoot first and ask questions later. In fact he rarely during his lifetime was involved in shootouts, and when he did it was only because he had no other choice. Another obvious myth is that, you know, it's been portrayed of the great romance between Bill Hickok and Calamity Jane. And to me one of the really fun parts about the book is that, first of all, they knew each other, but there was no romance; second of all, to reveal to the reading public who is the real love of Hickok's life: Agnes Lake. Nobody's ever heard of Agnes Lake. And who is she? She was the only female circus owner. She was a circus impresario on the level of Barnum and Bailey and she was the one that Hickok loved and married. And so right there was a couple of myths that I found really enjoyable to write: "OK, here's what the true story is about Bill Hickok." And by whom is he buried? By Calamity Jane! I'm sure he's still spinning over that. Because he did meet Calamity Jane in the summer of 1876, and he didn't really care for it all. He didn't really care for a woman who could outcurse and outdrink any man. And he found her kind of coarse and really too much of a handful for him. And was newly married so he wasn't on the prowl anyway. But when he died he was buried in Deadwood. And then years later, in 1903, was when Calamity Jane died, and there's a couple of different versions how she ended up being buried next to Wild Bill Hickok. One was that some of the guys who were in charge of the burial did it as a joke — "Yeah, let's play this last practical joke on Wild Bill," who liked practical jokes. Or it was a Calamity Jane last request that the people who knew her in her final illness felt they had the honor. So if anybody goes out to Deadwood, South Dakota, tomorrow they will find Calamity Jane and Wild Bill Hickok buried side-by-side in the cemetery. You know, I was surprised to learn about Hickok's short-lived career as a performer. Yeah, that's a strange story. He was, for a time, a successful stage actor, which included being on the New York stage. Buffalo Bill Cody and he were very good friends throughout Hickok's life. And one day Cody, who had an interest in performing, presented Hickok with a play called Scouts of the Plains and said, basically, "a play is going to be on stage talking about reminiscing and sometimes reenacting some of our adventures on the plains that we had together and separately." It was a huge hit. Eventually, though, it started to wear on him. He just thought it was kind of a stupid way to make a living, which was to recite these terrible lines and to play himself. He got more and more fed up with it. And the night finally came where he couldn't take any more. He took out his gun, he shot out the spotlights and left the theater and that was it. Did you discover anything during your research that even lifelong Kansans would be surprised to learn? Gosh, that's a good question, because if to answer that in any way is kind of presumptuous on my part. I certainly don't want to think I know more than a lifelong Kansans, that's for sure. I think maybe how much time while they've spent living in Kansas. Maybe lifelong Kansans would not know how much Wild Bill liked baseball and that he was a fan of the Kansas City Antelopes in the 1860s and in fact umpired a game. They allowed him to wear his guns because there'd be too much violence at the games. He was a two-gun umpire. So he called Abilene home for a time, Hays City home, Kansas home ... Kansas became the place that he always seemed to return to, until he went out west for the last time. So I think that would be kind of interesting for Kansans to know that that he loved Kansas. I wouldn't have been surprised that if he had lived and he had gone back to Cincinnati to collect his wife, if they had made Kansas his permanent home. 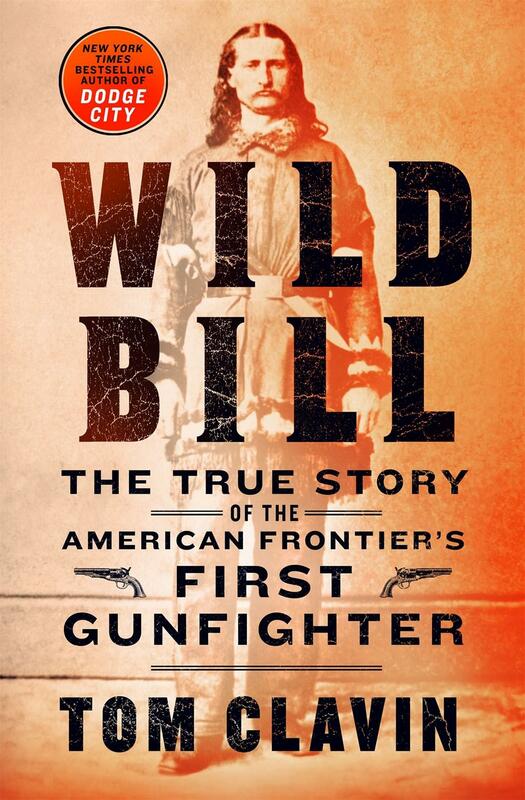 Tom Clavin's book is Wild Bill: The True Story of the American Frontier's First Gunfighter. 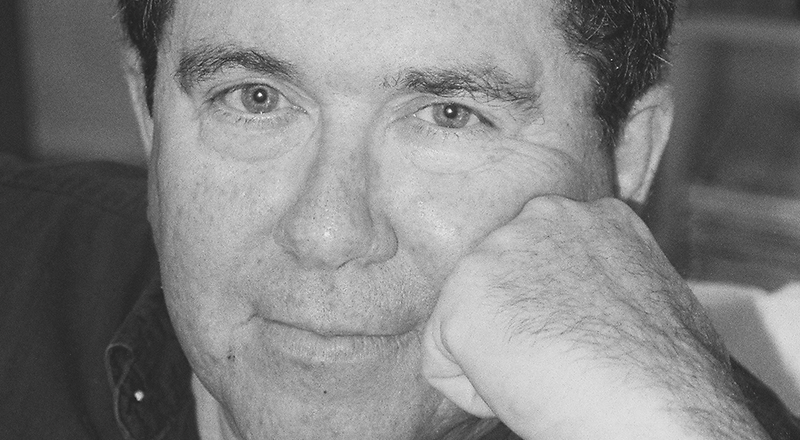 He'll be in Wichita on Friday, February 8, for a 6 o'clock event at Watermark Books. Hear Beth Golay's entire conversation with Tom Clavin in the Marginalia podcast, available here or wherever you get your podcasts.